Lighting Global, in partnership with the Clean Energy Solutions Center and CLASP, is co-hosting a webinar on the Rapidly Emerging Off-Grid Solar Market, with highlights from two recent market studies, Off-grid Solar Market Trends Report 2016 and The State of the Global Off-Grid Appliance Market. Globally, 1.2 billion people live without access to the grid and spend about $27 billion each year on kerosene, candles, battery-powered torches or other stopgap technologies for lighting and mobile-phone charging. Solar-powered off-grid lighting products and home energy kits offer much better energy service at lower cost and the market for these products is growing rapidly, particularly in Sub-Saharan Africa and South Asia. Similarly, a complementary market for highly energy efficient off-grid-compatible appliances is quickly emerging, and is expected to be valued at more than $4.7 billion per year by 2020. Please join off-grid market experts for a discussion on what’s driving the recent 15-fold increase in investments in the off-grid solar sector, where the big markets are, and who stands to win from the market’s projected 34% annual growth rate. The panel of experts will also discuss the implications of the growing energy efficient off-grid compatible appliance market for industry, investors, and consumers, and the challenges that the off-grid appliance market must overcome to reach its potential. 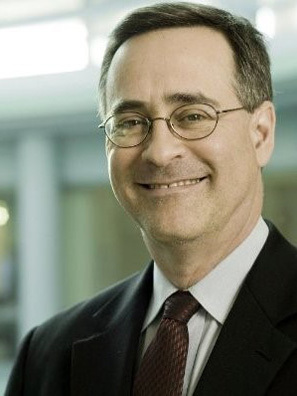 Building on his work developing innovative sustainable energy market development projects for more than 25 years, Russell provides thought leadership and oversight in leading IFC’s growing energy access advisory business. He currently leads IFC’s global network of programs under the Lighting Global program. He also leads IFC’s work across advisory services in support of IFC’s strategic focus on Green Growth. In this capacity, Russell chairs the Corporation’s Green Growth Steering Committee that sets strategy and prioritizes resources for the Green Growth business. Russell’s work mobilizing commercial clean energy and energy efficiency financing with partner banks catalyzed IFC’s current business in sustainable energy finance investment. His innovations in market transformation provide the model for IFC’s advisory services programs which seek to leverage IFC’s position in commercial markets to accelerate uptake of climate-friendly technology and expand access to energy and water. The creator of the Lighting Africa program, Russell’s work focuses on innovative business models which enable commercially sustainable private sector delivery of energy and water services. Itamar manages the Applied Research practice at Bloomberg New Energy Finance. He works with the firm’s sector experts and economic modelling teams, providing customized research on clean energy markets to a range of clients. Most recently, Itamar has led BNEF’s analysis of the pico-PV and residential off-grid solar market. Other work has included renewable energy market outlooks and strategic analysis for major energy companies. His work has been featured on Bloomberg TV and various other media sources. 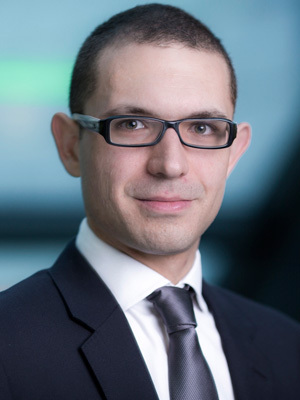 Having joined the company in 2011, Itamar previously led BNEF’s Insight Service on the European emission trading system as part of the European Power and Carbon Markets team. 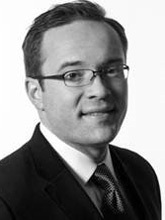 Itamar’s past roles include positions in the investment banking and wealth management division at UBS. Itamar holds an MSc in Environmental Policy and Regulation from the London School of Economics and Political Science. He is based in London, UK. 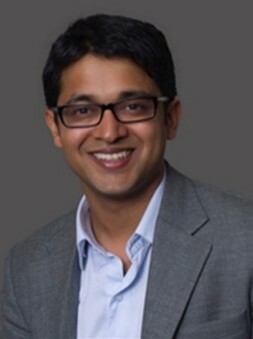 Gaurav Gupta is the Asia Director for Dalberg Global Development Advisors and heads their Access to Energy practice globally. He has co-authored some of the leading reports on the off-grid lighting sector including the Lighting Africa trends reports in 2010/2012 and led the recently published report on energy efficient appliances in coordination with CLASP, commissioned by Global LEAP. He is currently working with clients to refine off-grid utility models, support the development of the next set of products that help consumers move up the energy ladder, and stimulate entrepreneurship in the energy sector. Outside of Dalberg, Gaurav is a serial entrepreneur and has setup two boutique eco-tourism hotels, an ethical fashion brand, a think-tank on tribal affairs and a green travel company. In a past life, Gaurav worked as a management consultant with the Boston Consulting Group, in their Sydney and London office. He read Philosophy, Politics and Economics at Oxford and holds a Masters in International & Development Economics from Yale. Matt Jordan leads CLASP’s Clean Energy Access program, which focuses on leveraging energy efficiency to accelerate the affordability—and social and environmental benefits—of access to clean energy throughout the developing world. CLASP is an NGO with over 15 years of experience in appliance energy efficiency and market transformation. CLASP is responsible for the Clean Energy Ministerial’s Global LEAP Awards program, and it has developed and manages several Global LEAP off-grid appliance market development initiatives on behalf of the U.S. Department of Energy, Energising Development, ClimateWorks Foundation and other partners. CLASP also advises and supports the United Nations Foundation’s Global Alliance for Clean Cookstoves, the World Bank Group and others.